It’s every brand’s dream turned nightmare: a hit product is found to be faulty, posing danger to the customer. A product recall is urgent. Once the product recall is announced, the call avalanche begins – after all, speaking to a human is the first thing people want to do in a state of panic or distress. Having an ill-prepared call centre with long wait times only damages the brand (and potentially the share price) further, which is why many companies choose to outsource the call centre to product recall experts. Whether it’s a risky medication, faulty airbag or battery, here’s what to consider. This approach is more common with large enterprise (for example, an automotive manufacturer or global pharmaceutical company), or with companies in general which have products where the risk of a recall is high, or the product itself is new. The second, more common approach, is that a company has no standby arrangements for the call centre, and “freaks out”, madly searching for a call centre to help at short notice. The timeline to invoke the call centre in this unplanned manner is usually at least a few days. The part that companies struggle with the most, yet can be the easiest, is finding the right call centre. Once this is done, the company and outsource call centre need time to negotiate the terms, meet and decide on a plan of action. Critical to success is the development of the FAQ so agents can be quickly trained on the questions customers are most likely to ask. For example: can they get a refund, or just a replacement? Are there shipping or courier fees? 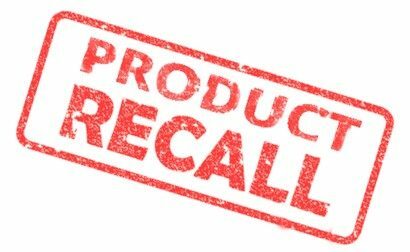 An experienced product recall call centre will contribute best practice and collaborate on a strategy. An outsourcer experienced in product recalls reports helping a client by ramping up to five dedicated customer service agents within eight hours; 30 agents within 48 hours; and 90 agents trained and deployed within 10 working days. This fast turn-around may not always be possible, depending on the bandwidth of the outsourcer and what other projects and clients they are supporting at the time. 24×7 service is common for product recall, to enable accessibility for all customer types in a variety of time zones. Where phone service is not economically viable round-the-clock, consider digital channels to provide additional coverage, or at least offer extended hours Monday to Friday and some coverage on Saturdays. Also bear in mind that it may be appropriate to offer longer operating hours at the beginning of the recall, when it is advertised for the first time – usually this first week or two is the busiest, and operating hours may taper off once the volume of inquiries drops. Phone is still the dominant channel for product recall customer service, and it is the most suitable channel for a brand to engage customers with empathy and reassurance. However email and live chat are also common. Social media messaging can also play a part, particularly for younger consumers. There is no one size fits all, and different customer groups prefer different channels. For example, millennials are much less likely to use the phone than a senior citizen cohort. SMS is often used to make customers aware of the product recall, as text messages are read faster, denote greater urgency, and are viewed more quickly than emails. Outsourcers can report on the number of contacts handled by channel and time of day. It’s important to understand how effective awareness campaigns have been, so these reports should be closely monitored. An escalation report is also essential, as with this type of work there are usually disgruntled and angry customers, and you need to clearly identify how to handle these customers. Some outsourcers can provide (near) real-time dashboards so you can monitor activity at all times. For large scale recalls, affecting health & safety, three months’ coverage is typical. Resourcing is gradually reduced over this period to account for diminishing call volumes. To accommodate very small volumes, it’s ideal for the contact centre outsourcer to have a shared pool of agents so you are not paying unnecessarily for dedicated resources. The ideal contact centre partner should have experience in operating a product recall, and therefore be in a position to share their learnings and best practices with you. The contact centre should meet your criteria in terms of operating hours, reporting capability, and channels provided (eg. phone, SMS, email). Flexibility to increase and decrease staffing is key. You can find an experienced product recall call centre – just enter your criteria.